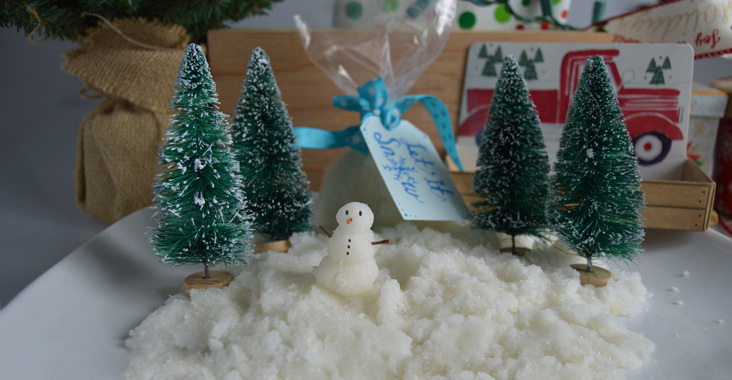 Fake snow is fluffy and fun, a treat for the senses, and also a useful prop for your holiday display. We all know that snow is a seasonal experience that not all of us get to enjoy. If you don’t get the real thing where you live, why not create some of your own that you can enjoy while you are warm and cozy indoors. Below you will find two recipes for faux snow. One uses our foaming bath whip base and the other uses our conditioner base. The recipe that uses our Foaming Bath Whip base foams and creates lather, while the recipe that using conditioner does not foam. Not only are these recipes fun to play with but they make a great bath time activity as well. These recipes are just guidelines – feel free to doctor the ratios to create your own concoction. 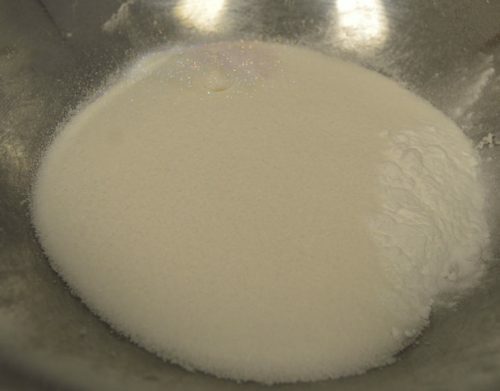 Hand mix all of the granulated sugar and sodium bicarbonate until it is well mixed. If you are adding glitter, add it at this step. 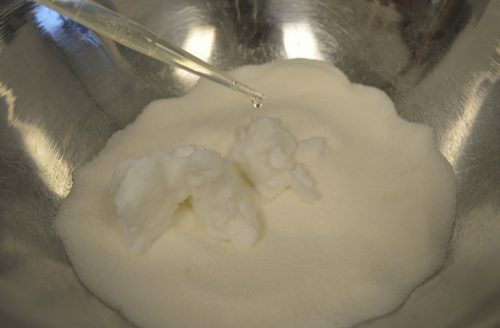 Add in the Foaming Bath Whip or the Reconstructive Conditioner and the fragrance oil to the dry ingredients. Use the hand mixer with the whisk attachment to whip all of the ingredients into the fluffy white snow. Add more sugar if the mixture is too wet. Add more foaming bath whip if the mixture is too crumbly and won’t hold its shape. Faux snow looks great whether it is packed into an airtight bag or clear jar. If you plan on using glitter, a clear container is definitely a must. Impulse sealers are needed when you have sealing bags. Although the large models can be a bit expensive they are a very useful piece of equipment. And you can find smaller models that are very affordable. 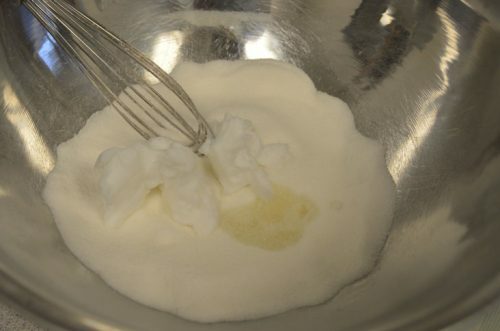 The recipe variation with the foaming bath whip will harden when left out. So this recipe is ideal for making solid foaming sugar scrubs. The recipe variation with the conditioner only hardens slightly. However once worked thru with the hands it will go back to being pliable snow.